When John’s ‘88 Porsche 928 rolled into our program, we didn’t know what to expect. The old girl had a lot of miles under the hood, and the transmission was done. Ontario is notoriously tough on cars (that road salt just eats away at everything), and we weren’t sure if there would be anything left of this little black beauty after almost 30 years on the road. She did not disappoint! The car was submitted for donation early in June of 2015, and by the end of August the right buyer had placed their bid. A gift of over $3000.00 resulted for the Canadian Cancer Society. In the current market (metal values have dropped more than 75% in the past calendar year) we know that care and market-savvy need to be applied to every processing assignment. 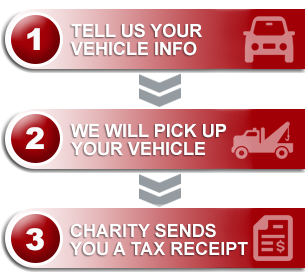 There are many factors that will impact how we assign the care for your donated vehicle, including its year, make/model, mileage, and overall condition. Your location makes a difference, too. Used vehicle sales play out very differently on the East Coast than they do on Vancouver Island, and a 2000 Honda Accord re-sale will not have the same dollar outcome in Ontario that it does in Alberta. From your collector car Porsche to your beloved 1990’s Chevy, we play close attention to your notes about the turns on the odometer and the quality leather seats. “The car was driving perfectly…until it stopped driving perfectly!” is something we hear often, and your assessment of your car’s value, sentimentally and materially, counts. John’s Porsche donation outcome was a happy dance moment for us here, and we will be delighted to assist you if you have a car that is ready for a send off of its own.